Bhagavan’s teaching is beautiful and unique and direct. There is no mumbo jumbo, no secret mantras or handshakes, no dependence of rituals or outside forces. Bhagavan says that you are the Self. Being the Self is nothing more than pure Being, Pure Existence. 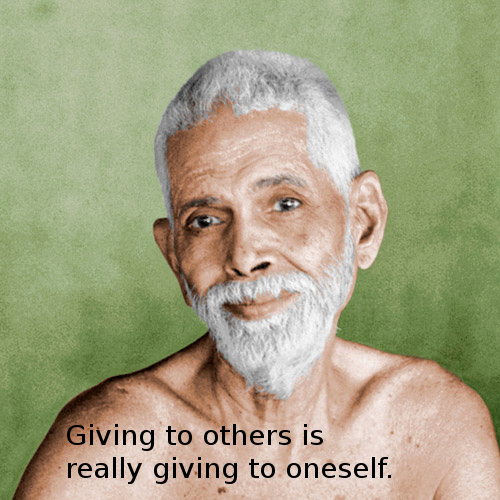 Bhagavan says, “Giving to others is really giving to oneself.” Bhagavan continues, “If one knows this truth, would one ever remain without giving?” (See Chapter XIII “Gems from Bhagavan.” Bhagavan here states the fundamental truth of reality at every level. 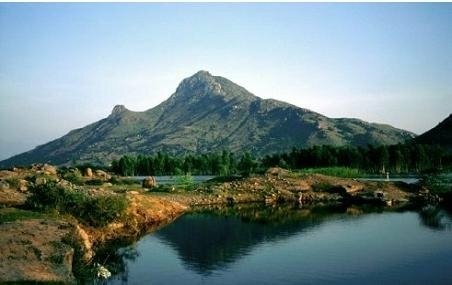 How is it possible to write about Arunachala? 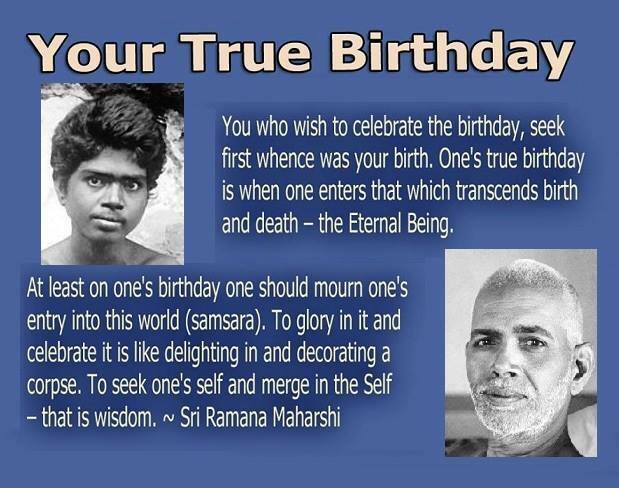 In these verses, Bhagavan says that the only real birth is where one recognizes one’s true nature as the Universal Being and is born into eternal life. The photo art is from John Wassenberg fb page. 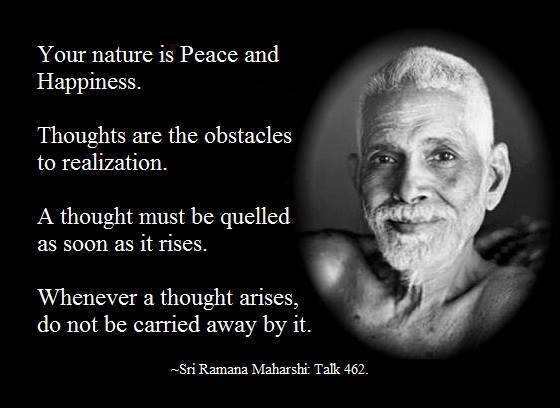 Sri Ramana says, “Your Nature is Peace and Happiness.” This quote as well as the quotes in the picture are from Sri Ramana speaking in Talk 462 in “Talks with Sri Ramana Maharshi”. Photo art is from John Wassenberg fb page. Bhagavan is saying that happiness and joy are our very nature and revealed when we turn our mind within and inquire as to the original source of the mind.